After being arrested in Ohio for DUI the lawyer you hire often makes the difference between whether you can drive during the proceedings and whether you would be prohibited from doing so. This is because unlike most states, Ohio leaves it to the “sound discretion of the judge” as to whether you can obtain continuing driving privileges during the pendency of the case. In other words, in most states whether and to what degree one can drive when charged with DWI is regulatory and written in the DMV or BMV’s administrative regulatory scheme. In fact, in most states if a motorist blows a .07 or less there is no restrictions on driving whatsoever. In Ohio, however, the ability to have driving limited or conditional driving privileges and to what degree rests solely with the court, be it a Mayor’s Court or County Municipal Court such as the Hamilton County Municipal Court or the City Court of Cincinnati. Nor does it matter if your BAC reading was .07 or less unlike other states in Ohio you will still suffer a license suspension pending the judicial process. The court is moved for temporary driving privileges at arraignment, which is the first court appearance. The court does not have to hear the matter then and can either set it down for a hearing or demand a written motion on the issue. If this happens, you are not able to drive during that time frame. It is the experience of our Ohio OVI/DUI lawyers that, when we come into court with documentary evidence, a counseling plan from our clients self referral, and witnesses ready to testify, that we are successful in obtaining limited driving privileges at arraignment in summary fashion. And, even if what is granted is not broad enough, our Cincinnati, Ohio DUI lawyers can still move the court to get you expanded driving privileges. Our Cincinnati, Ohio area DWI lawyers have years of experience defending against DUI/OVI in the City of Cincinnati, Hamilton County, Clermont County, Butler County, Warren County, and the state of Ohio. We know what evidence a court needs to provide you with broad temporary driving privileges as your case winds its way through the judiciary. If you have been arrested anywhere in south west Ohio, call us for a no cost, no obligation phone consultation. Our Ohio operating a vehicle intoxicated defense attorneys service all cities and counties in South West Ohio, including the City of Dayton, Ohio, and the counties of Preble, Montgomery, Greene, Clinton, Brown, Highland, Adams, Darke, Miami, Clark, Madison, Fayette, Scioto, Pike, Ross, Pickaway and Champaign counties. Attack That Ticket for speeding ticket lawyers in OH , as well as Ohio traffic ticket attorneys. As Ohio Traffic Court Lawyers they also handle DUI OVI DWI. How to fight a OH speeding ticket, How to defend a OVI in Ohio, DWI defense Ohio. 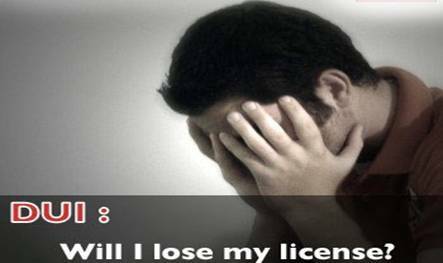 Do you have a suspended license in Ohio? How to defend a drunk driving charge in OH, Traffic Lawyers. We are also criminal defense lawyers.